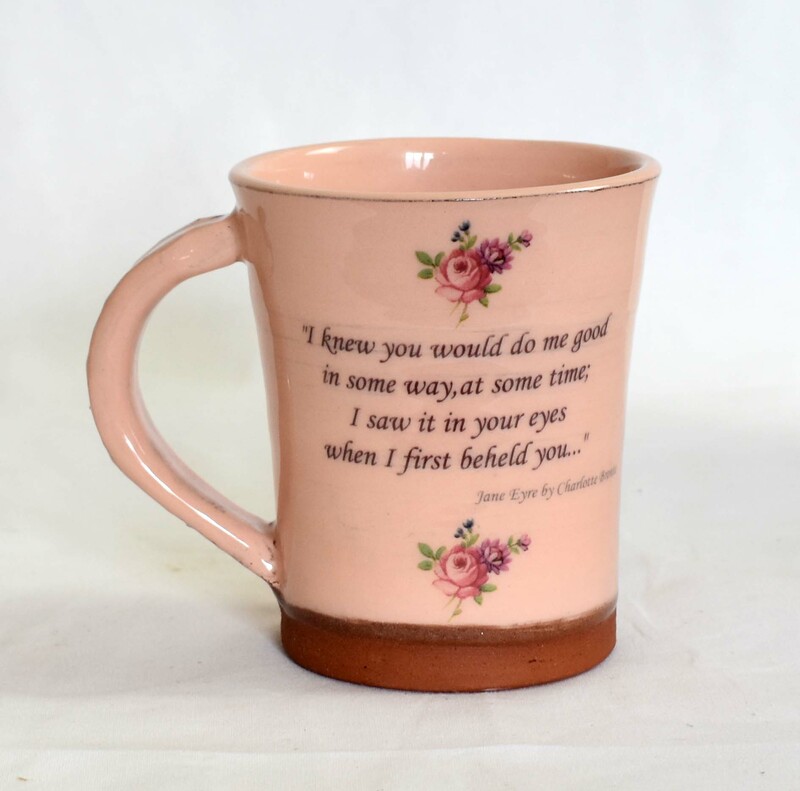 This handmade pale pink Jane Eyre mug would make a wonderful mother’s day or birthday gift. 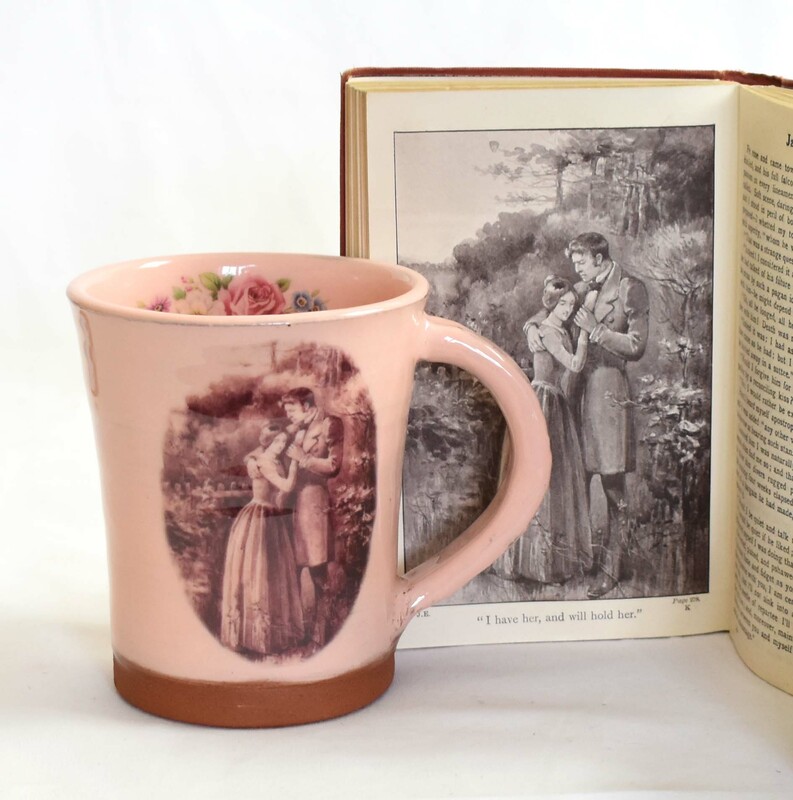 A perfect present for a fan of the Bronte sisters, particularly Charlotte Bronte. Jane Eyre is a favourite novel for many people . It can be read many times and something new discovered at each reading. 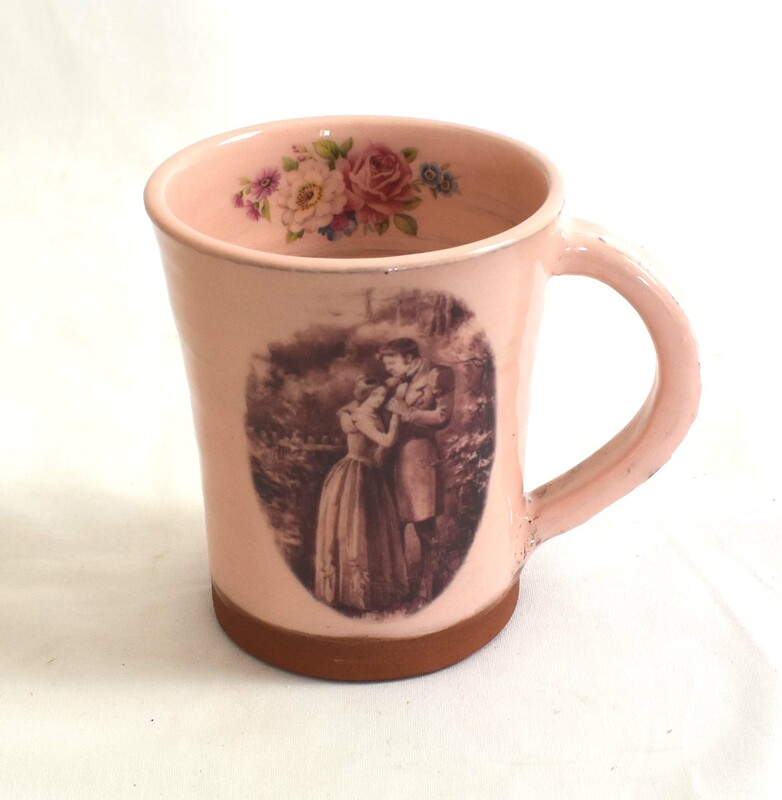 The’ mug features a vintage illustration from an 1850s edition of ‘Jane Eyre’ by Charlotte Bronte on the front. It is unusual to find an illustrated version of Jane Eyre. I found this after a several years of searching, as Jane Eyre is my favourite novel.